Come out and visit the annual Port Elgin Rotary Home & Recreation Show./Food & Drink Expo. It’s an ideal opportunity to get rid of the winter blahs. The event showcases products and services for the home & garden, backyard living, outdoor recreation and leisure activities. Returning again this year is the popular and fun Food and Drink Expo featuring local restaurants, craft breweries and wineries. Organized by the Port Elgin Rotary Club & Port Elgin Pumpkinfest. 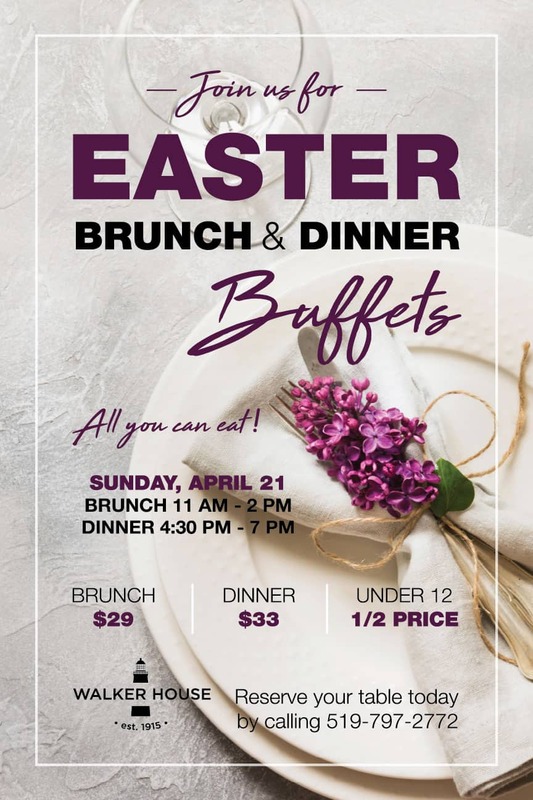 Spring is here is and there’s no better way to kick things off then to join us at the Walker House for our famous annual Easter buffets! 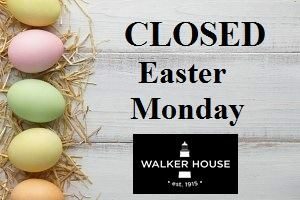 The Walker House will be closed Easter Monday. We hope everyone enjoyed their long weekend! The Saugeen Shores Chamber of Commerce is hosting a special networking breakfast with Mayor Luke Charbonneau and you are invited to attend. 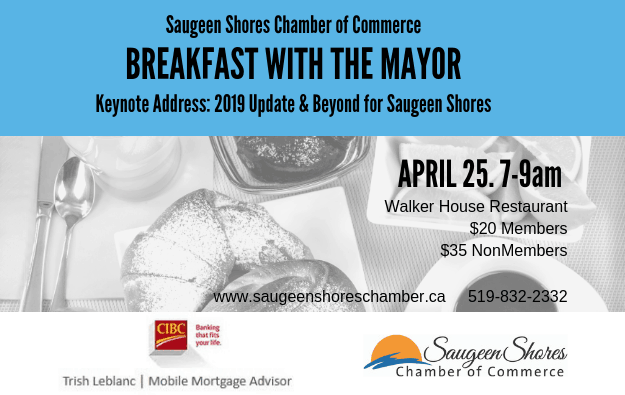 Chamber members and nonmembers are encouraged to network with Mayor Charbonneau and learn about the future development and plans for the community of Saugeen Shores. His presentation is entitled 2019 Update and Beyond. Attendees are encouraged to pre-submit questions to the Chamber of Commerce for the Mayor that he will answer during the event. RSVP and payment is required in advance of the event; payment and registration will not be available at the door. Chamber members get special pricing thanks to major sponsor, Trish LeBlanc, Mobile Mortgage Advisor, CIBC. Noodle Night. Join us on Friday, May 31 for Southampton’s 2nd annual Noodle Night, from 5pm-9pm! Participating restaurants will help the Rotary Huron Shore Run runners, their guests and locals prepare for the big day (June 1st) by offering delicious pasta selections. Organized by Southampton BIA. The Walker House is wheelchair accessible.